Kwadwo Asamoah has reportedly asked to be left out of Ghana’s squad for the 2017 Africa Cup of Nations. Asamoah, a vastly experienced player who has over 60 caps for the Black Stars and represented them at four AFCONs and two World Cups, has reportedly asked coach Avram Grant not to consider him for the continental tournament in Gabon. 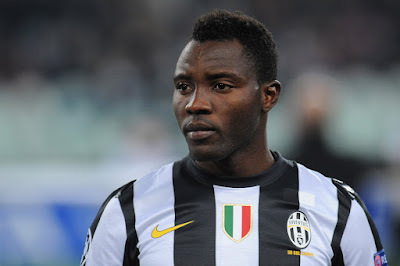 GHANASoccernet reports that a radio station in Kumasi, where Asamoah hails from, claimed Grant was considering the midfielder for his final 23-man squad. However, Asamoah has asked the Black Stars boss to exclude from consideration while he concentrates on recovering fully from a career-threatening knee injury. The 28-year-old has spent much of the last two years on the sidelines due to injury and fears that a trip to represent Ghana in the Nations Cup could cause a relapse. Ghana are set to face Uganda, Mali and Egypt in Group D of the continental tournament.